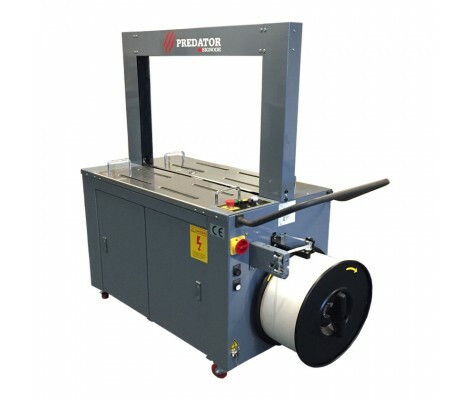 The Signode Predator 12 SS is an automatic strapping machine designed and manufactured with safety in mind. It is designed to handle corrosive wet enivornments of the Food and Meat Processing Industries. 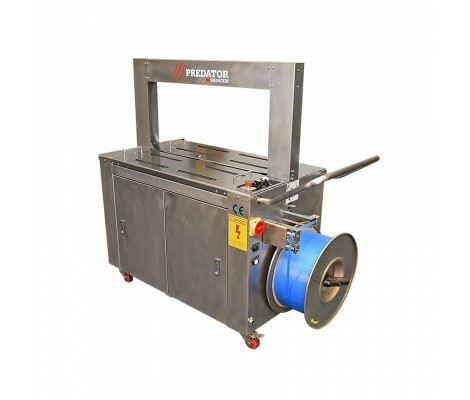 The Signode Predator 12 is an automatic strapping machine designed and manufactured with a safety as a priority. Its 3 modes of opertion improve operator efficiency as does its automatic strap loading and cut and refeed features. Signode's automatic strapping machine range are simple and easy to use. Signode's automatic strapping machine range includes the Predator 12 automatic strapping machine and MOD GPX automatic strapping machine. 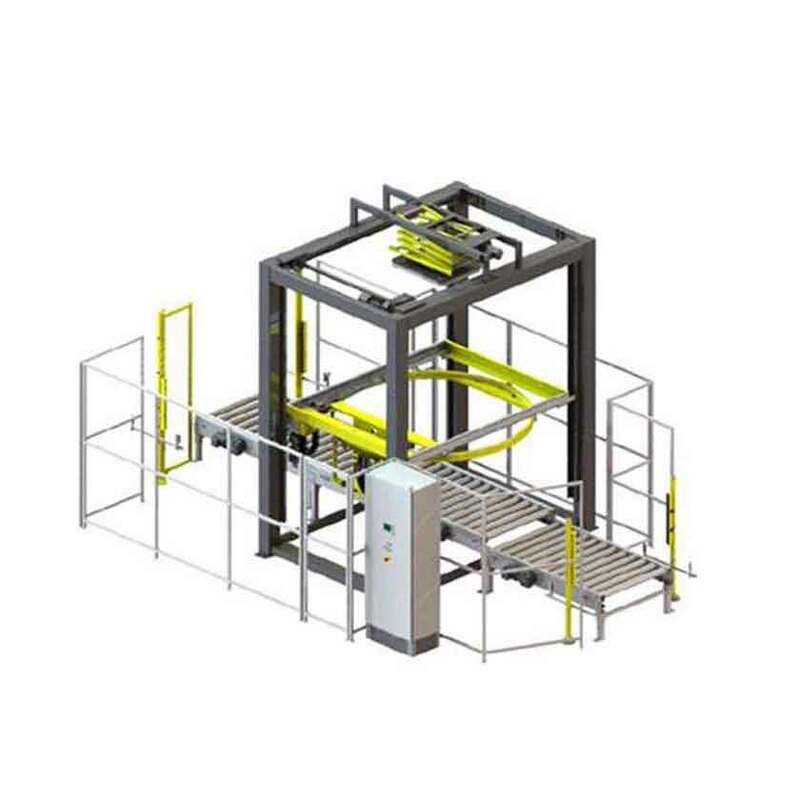 Both strapping machine models are available in a painted finish or stainless steel finish designed to handle the corrosive wet environments of Food and Meat processing industries. The Signode Predator 12 automatic strapping machine can operate in three different modes and is capable of strapping up to 30 straps per minute. 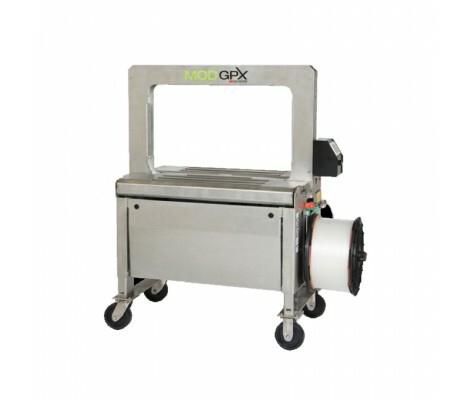 Signode's MOD GPX is a high speed automatic strapping machine that features an entirely modular design that minimizes downtime and is capable of strapping up to 70 straps per minute.